Are you interested in luxury apartments in Oxnard, CA? Then Serenade at River Park has exactly what you’re looking for! We offer luxury one, two, and three bedroom apartments that come standard with luxury finishes and amenities! Enjoy the calm of a residential neighborhood, but live close by to all of Oxnard's best shopping, dining, and nightlife destinations! Oxnard is a city west of Los Angeles and along the Pacific Coast, and there are numerous places where you can work up a sweat and stay active! Below are just a few places where you can do just that! If you’re interested in high-intensity group training in Oxnard, then Knockout Fitness is the place for you! You can choose from group training, personal training, or MMA and Jujitsu classes to get your heart rate pumping. If you want to learn more about what Knockout Fitness has to offer then head over to their site here! CrossFit can be intimidating. However, at CrossFit Oxnard, their programs are all scalable that way anyone, regardless of fitness level or age can enjoy a great workout! CrossFit Oxnard takes an old school approach to fitness emphasizing fundamentals and proper technique over everything. If you want to learn more about them you can head to their website here! Flex Fitness brings amazing individualized programs and Fit Camps that let you develop at your own pace. Flex Fitness also takes you out of a stuffy old gym for your workouts and does a lot of their training in Ventura’s Botanical Garden Trail, Ventura Pier, Arroyo Verde Park, and a few other places as well. If you think Flex Fitness is right for you then you can learn more about what they offer here! At Lyfe Fitness you can expect cardio, HIIT classes, circuit training, kickboxing, boot camp, and weight lifting classes. You can also get a personal trainer to help you reach your fitness goals. Take part of their 12-week program and see just how much your life changes! To learn more about how Lyfe Fitness can help you achieve your fitness goals head here! Maybe a gym setting with squat racks, dumbbells, and treadmills isn’t for you. Then check 9Round Kickboxing! At 9Round they offer you 30-minute workouts that consist of 9 different stations that are sure to keep your heart rate up! For more information on what 9Round offers you can head here! Oxnard offers so many places to go and work up a sweat at, but if none of these sounds like something you’d be interested in then you can work up a sweat in Serenade at River Park’s very own state-of-the-art fitness center. 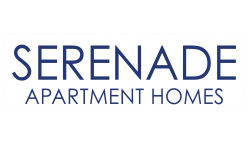 To learn more about our apartments in Oxnard, CA, call us at (805) 202-4354.